Ole Gunnar Solskjaer's Manchester United return was confirmed on Wednesday as the former Red Devils striker was named as Jose Mourinho's temporary replacement at Old Trafford. 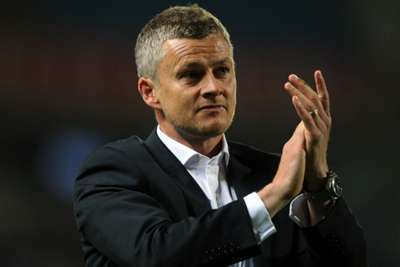 Solskjaer was named as interim manager until the end of the season 24 hours after Mourinho's departure, bringing him back to the club he left in 2007 after a stellar playing career. After leaving Barcelona as a player in 2001, Guardiola returned as 'B' Team manager in 2007 before being promoted to first-team coach a year later. Over four years in charge at Camp Nou he led the Blaugrana to 14 trophies, including three LaLiga titles and two Champions League crowns. Success has continued to come Guardiola's way with Bayern Munich and Manchester City. World Cup winner Zidane was part of Real Madrid's 'Galacticos' in the early 2000s and he finished his playing career at the Santiago Bernabeu. Like Guardiola, he returned as reserve team manager before stepping up to the top job after the departure of Rafael Benitez. Zidane went on to win an unprecedented three successive Champions League titles with Madrid before stepping away in May. 22 - Chelsea have become the 22nd different club to win the European Cup/Champions League. Champions. Record Premier League goalscorer, Newcastle United legend and lethal England striker – Shearer's playing career was full of success. When he retired in 2006 Shearer moved into television as a pundit, but when the Magpies came calling in 2009 he stepped in to try and save them from relegation. Sadly for Shearer he was not successful, his eight-game reign ending in Newcastle slipping out of the top flight after a 1-0 defeat to Aston Villa on the final day. Employing former players as managers has worked well for AC Milan over the years – Fabio Capello and Carlo Ancelotti particularly successful. So when the Rossoneri turned to Inzaghi in 2014 after Clarence Seedorf's brief tenure, the move looked sound. However, the former Milan striker – who won eight major trophies as a player – flopped, winning 14 of his 40 matches in charge as Milan finished 10th – their worst league finish in 17 years. Henry made his name at Monaco after breaking into the first-team in 1994, the forward going on to become a world champion and a Premier League icon with Arsenal. After a period as youth coach with the Gunners, Henry was named as Roberto Martinez's assistant with Belgium. Permanent roles with Bordeaux and Aston Villa were mooted, but in October Henry chose Monaco. So far he has yet to impress, winning two of his 12 matches in charge as they exited the Champions League and sit 19th in Ligue 1. When Jupp Heynckes announced his intention to leave Bayern Munich at the end of the 2017-18 season, a host of names were linked with the role, but surprisingly the German champions plumped for former midfielder Kovac. He has not been able to continue Bayern's recent dominance in the Bundesliga, though, with the club nine points behind leaders Borussia Dortmund and senior officials being forced to publicly back their under-pressure coach.